Action replay, which one should I get? Yes, the site is Swedish because I'm Swedish. But it is the product that's important, and I think these looks the same as the US. From what I've heard the second one seems to be the 'right' one, I just want to make sure. Because I live in Sweden and nintento hasn't released any events here for except celebi. There are more but only, like, 20 % of the events that are released are also released in Sweden; you get my point. Apparently Sweden isn't a part of Europe. GJ WITH THE GEOGRAPHY THERE. Well last thing, I want it for all possible Pokémon games on DS - I've heard that there are no codes for X and Y. 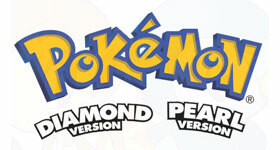 What is the master code for the action replay for Pokemon diamond? How do I get the Azure flute without an action replay or gameshark? I don't really use Action Replays. However, from my experience, the second one looks right to me. I understand completely why you have the need to cheat. Trading for all the Pokemon you need can be a pain. can you get darkrai without the action replay? Can yo.. Character modifier please I was wondering if anyone c..
Help Need a action replay code for shiny pokemon Can ..